Now, we may just be seeing the start of Spring. Hallelujah! And about time, right? This weekend, the clocks go forward meaning we get that extra hour of daylight and I can’t wait to get out and make the most of it. For me, with the light nights, comes the unbridled desire to be outdoors, running, cycling, beach boot-camping, all balanced out with the occasional beer garden excursion. For those week night outdoor workouts, I’m after some new gear to see me through Spring and Summer, particularly in the shorts arena. I used to hate flashing my stems when the sun came out, but now I fully embrace it. And what’s more, the range a beautiful sports shorts you can get your mitts on at the moment is ace. So, when the sun’s out, it’ll definitely be guns pins out. Here are my top picks, just in time for payday. The Adidas Aktiv M10 Shorts, available at my local running store, Start Fitness, are a perfect first choice. They keep you cool in the heat, and a percentage of each sale of this style goes to Aktiv Against Cancer. All-round winner. After a staple pair of shorts which you know will last? Sweaty Betty’s Marathon Shorts come in classic black and have deep angled pockets, perfect for carrying energy gels on those everlasting training runs. Tiger-print shorts. Why the bloody hell not. These guys by Zoe Karssen are more of a lounge short, so perfect for chillin’ out maxin’ relaxin’ all cool. 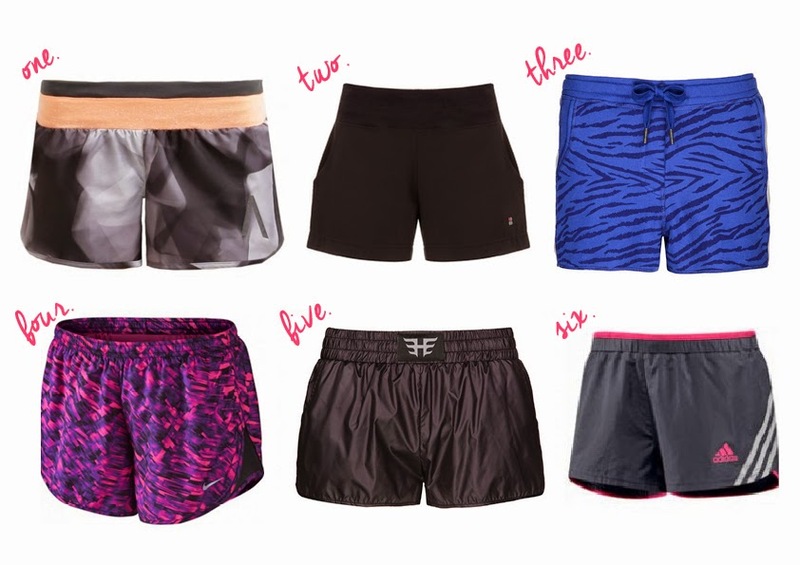 I’m love a good patterned short and Nike’s Tempo Shorts are ideal for summer running and will look superb with a tan. If your budget can stretch a tiny bit further, Heroine Sport Shorts are definitely worth the investment. Super light weight and water resistant, they are the creme de la creme shorts for any kind of workout. To round things off, a good old pair of Adidas Supernova shorts in grey and pink. Their Climcool fabric staves off the heat and best of all? They’re currently in the sale. A perfect payday purchase.